We are always pushing the limits here at Barnyard bees, we need a lot of mated Queens fast, and sometimes we pushed the limits with temperature and the amount of bees that we use to do our splits. If the temperatures are still cold make sure that you use enough bees in your split to keep the brood warm. 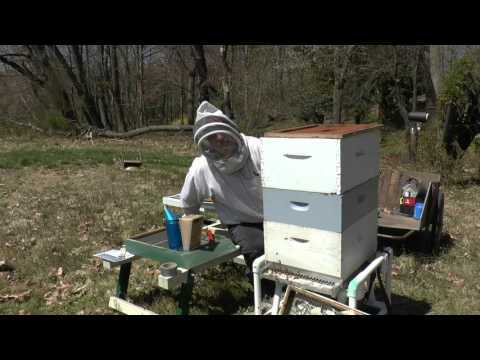 When temperatures are warm to hot you can use less bees and not cause any chill brood. Beekeeping is my passion. After making a split how is the best way to help it along. Feeding it will help only temporarily because you have lost many of your foragers from the move. Hi, Im certified master beekeeper David Burns. Let me show you a cool way to fuel up a new split and gain some more foragers. Visit our website at: And Please Subscribe! !